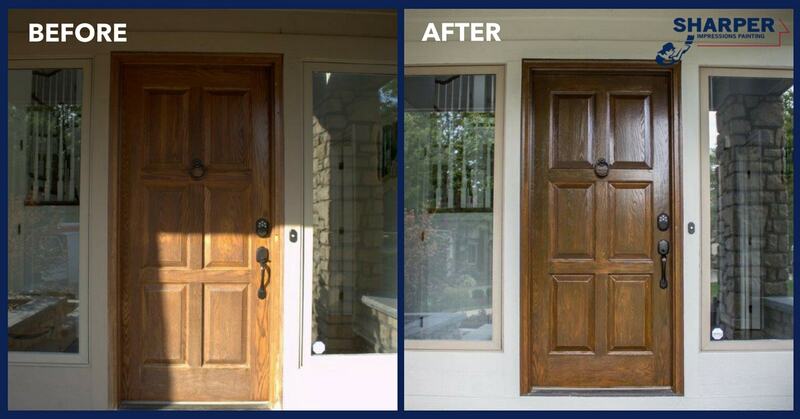 This front door was left untreated for many years. The sun had worn away the clear coat and faded out the stain in the wood. After a six part reconditioning of the door it looks almost new! The stain is back to deep and rich and the clear coat protecting it has a brilliant glossy shine. Home » Recent Projects » New Front Door!